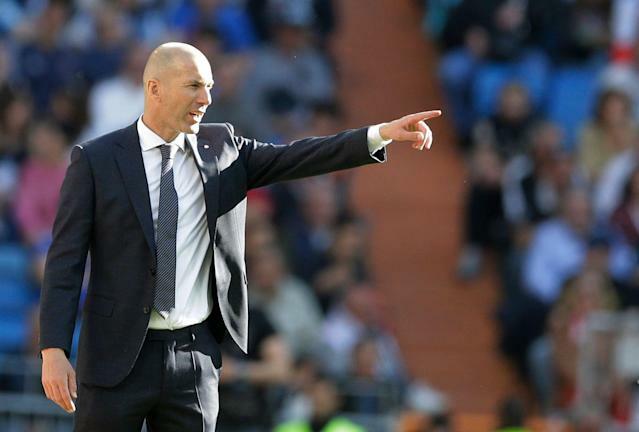 When Real Madrid announced Zinedine Zidane’s return as manager at the beginning of the week, it was natural to get carried away envisioning a return to the trophies and triumph that earmarked the club’s recent past. In reality, it was going to play out the way it did on Saturday, at least to start. Zidane staffed his side with the veterans he’s most comfortable with, and while it wasn’t his nor the team’s finest 90 minutes, they still produced a 2-0 win over Celta Vigo together at the Santiago Bernabeu. Celta is currently in the bottom three, so the fixture provided Zidane with a great opportunity to get off on the right foot. And he capitalized, thanks to goals from Isco and Gareth Bale. The impact of Isco, Bale and Marcelo is notable, because all three have fallen back in the pecking order at Real Madrid this season. Isco hadn’t started in La Liga since the 5-1 El Clasico shellacking against Barcelona in late October, while the emergence of Reguilon at left back has rendered Marcelo’s services a bit obsolete. Bale has never been a favorite of Zidane, but on his day he’s still world-class. Zidane’s team selection was expectedly familiar; he has a comfort level with these players, with whom he’s won the past three Champions League titles, and knew he could count on them to get a result even if the waters were choppy. They were, and they still will be. Despite having no trophies left to realistically play for this season, Real Madrid still has tough away trips to Valencia and fourth-place Getafe, not to mention the fact that every La Liga club treats fixtures against the Spanish giants as marquee affairs. All Zidane can do is protect Real Madrid’s Champions League spot, which is comfortable at present but could turn south with a couple bad results. Saturday’s result was a good start for all involved.